With cable and satellite prices continually rising, many people are switching over to a much affordable way of viewing/streaming entertainment. Some of these streaming services may include Hulu, YouTube, Amazon Video, Sling, Twitch, etc. But the number one streaming service out there, by far, is Netflix. Founded in 1997, Netflix has strived to meet the demands of people who quickly and conveniently want to watch affordable entertainment. In the early days of Netflix, you could rent DVDs online and have them mailed to you; but now Netflix prides itself in streaming media to your smart tv and other devices (gaming consoles, tablets, phones). Currently, Netflix has over 100 million subscribers worldwide. An unlimited streaming service for viewing movies/shows that has a growing library of old, new, and original content. Currently, the monthly price ranges from $7.99 – $13.99, depending on the level of service. What do I need to know/do as a parent? There are many inappropriate things to watch on Netflix. Different shows/movies can have ratings anywhere from G to NC-17 or Unrated. You can set a 4-digit passcode for your kid to not have access to specific shows/movies/series or particular ratings (rated R for example). You can create different profiles within one account: one for mom, dad, daughter, son, etc. ; each having its own passcode if needed. For example, if you want your Preteen son to only watch rated G/PG material, you can set that up to happen. Go to Settings, then Parental Controls and it’ll walk you through from there (if they want to view something PG-13, you’ll have to put your passcode in). Look at their “Viewing Activity”: Netflix shows recently watched movies. A child would have to work hard to clear out inappropriate movies from their recently watched queue by intentionally starting “cleaner” movies. 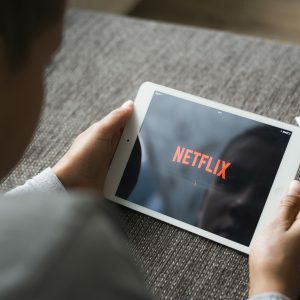 Parents can frequently check movie history and specifically talk to kids about the fact that there is a Netflix history, and these type of direct conversations can sometimes prevent inappropriate conduct proactively. Binge watching is a real thing and can become unhealthy. Because you can watch almost any and everything on your smart device, it’s tempting to unplug from life and watch Netflix. Suggestion: make sure your kid does not use any smart devices in their room at bedtime and talk to them on why this is not healthy. Don’t forget, Netflix can be streamed on game consoles too. Be proactive vs. reactive. Set boundaries on parental controls, screen time allowance, and agree upon what consequences are appropriate if boundaries are broken. Perform random phone checks, and go into settings in their phones and see/limit what apps they are using the most. In order for you to keep track of viewing history, you need to make sure kids are using their own account, not a friends account. 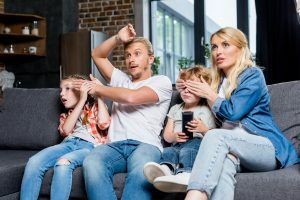 Netflix has revolutionized the streaming industry and is successful at providing families with viewing entertainment at a minimal cost to the user. Even though this can be fun, we need to make sure our kids are smart and safe with this privilege.